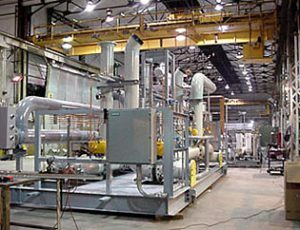 CVIP Inc. began in the Fall of 1994 with a total of five employees in a leased facility located in Bethlehem Pennsylvania answering the need for an independent, highly skilled and experienced cryogenic piping manufacturer in direct support of a major industrial and specialty gas producer. Our focus and expertise at CVIP Inc. continues to be very thin wall stainless steel, helium leak tight welding, along with assembly and vacuum leak testing of either gaseous (warm) and liquid (cold) piping sub-assemblies required for both stationary cryogenic bulk storage tanks and over-the-road cryogenic transport containers. Our reputation grew as a first rate quality shop and today approximately forty-five employees work within co mbined manufacturing facilities of just over 65,000 square feet all located in Emmaus Pennsylvania. As CVIP Inc has grown, Mr. David Nguyen, owner and president, has been directly involved with all developmental and training programs for our certified welders, most of which have been qualified to liquid helium temperatures (-452F). He has also collaborated with some of the major U.S. government laboratories and Fortune 500 U.S. companies on several manufacturing techniques that have resulted in a number of registered U.S. 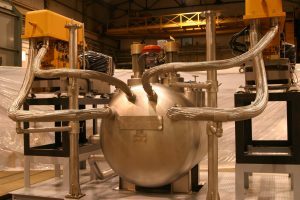 Patents for the very critical areas of cryogenic super insulation systems along with the internal cryogenic piping support systems. CVIP Inc.'s full range of capabilities and services continues to expand and directly support these on-going business areas: pharmaceutical, chemical, oil and gas, environmental, electronics, medical, cryostat housings for super conducting cryogenic cooled magnet coils, food, power generation, pulp and paper, research and development, metals and glass and alternate renewable energy sources such as biomass and hydrogen fueling. CVIP provided mechanical engineering support , full shop fabrication plus on-site installation and welding services for the majority of equipment that is currently supplying cryogenic refrigeration for an in-grid 350 meter long, high temperature superconducting cable demonstration project located in Albany New York. Successful operation has been ongoing with official commissioning taking place during August 2006. CVIP Inc. continues to maintain its unique position by offering the highest quality welding services for special alloy materials and applications.